Own this officially licensed collectible from The Hobbit film trilogy. This highly detailed replica is crafted of the highest quality materials to exactly match the actual filming prop used in the acclaimed film series. The massive 30-3/4" stainless steel blade features a cast metal hilt with authentic accents and superb attention to detail. It comes to you with a wooden wall display plaque and a certificate of authenticity. This is my first official sword. It's nicely made, although not all that sharp other than the tip. It's an officially licensed product. This is my first purchase of a replica sword...WOW!!! I cannot express how pleased I am in a more eloquent way! WOW!!!!! I use this sword as part of my elf garb at Renaissance Festivals and it is always such a hit. It has an elegance and quality not often found in reproductions. Yet, it is heavy (really need to weigh her sometime) but well worth it. Whether she is displayed on our wall, or out and about, I am confident in both her beauty and craftsmanship. 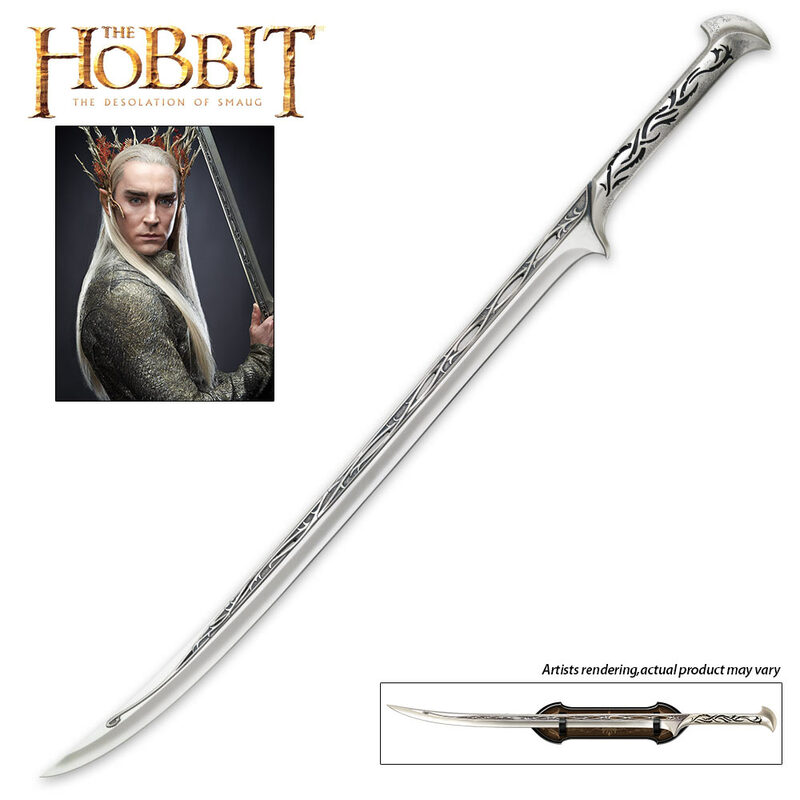 Heck, my Thranduil will probably be the first sword I grab if a zombie apocalypse ever does occur! Very sturdy, great balance. Probably not battle ready, but I wouldn't be surprised if it could stand up to impacts. If I was to describe this sword with one word, it would be magnificent. 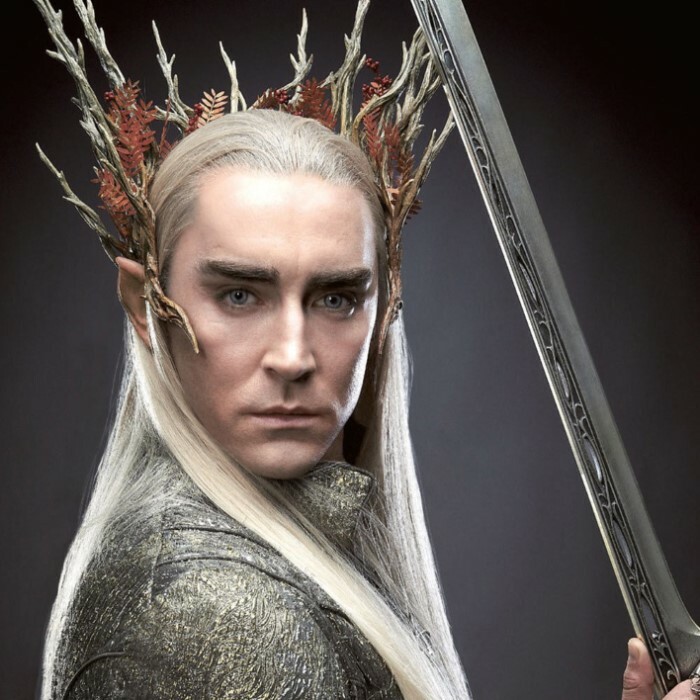 The flowing, katana like design perfectly fits Thranduril's character, from the way he moves and the way he fights. The sword is sturdy, but light, and feels like it is nearly combat quality. 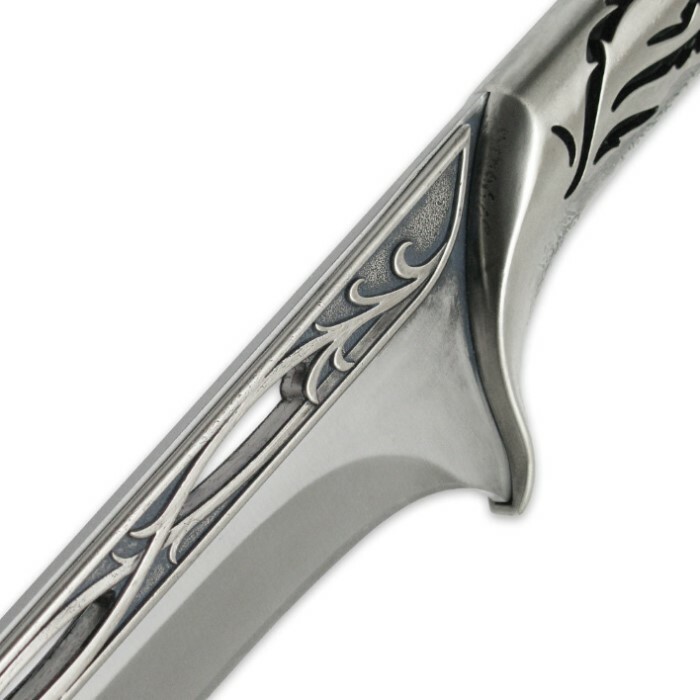 The leaf designs and aging give the sword even greater aesthetic appeal. It looks great on its display. This sword, according to its certificate, was one of the most difficult replicas to produce. Now that I've seen the sword in person, I totally understand why. A true work of art takes time. After 11 months of waiting, I'm glad I spent the money! Well worth the wait. One of the best replicas ever produced. Makes me hope for more Mirkwood replicas. I ordered this sword 1 year and 1 month ago and finale received it today! I must say... I love it! The quality is awsome, and the shape and weight distribution is 100% spot on! In my hobbit hole now! Beautifully made sword! A great addition to my collection. Shipping was very fast, and the customer service was top notch. Would definitely buy here again. it said in the description stainless steel blade and cast metal hilt seems pretty solid. hope this answers your question. I would be nice to know what the sword is made of.